Medical Calendar is a doctor-oriented scheduler with a handy navigation system. It's highly flexible, allows changing time intervals, creating numerous profiles and viewing multiple schedules at a time. You can also password protect information, create backups and export the schedule to Outlook, XML, HTML, XLS, TXT formats. 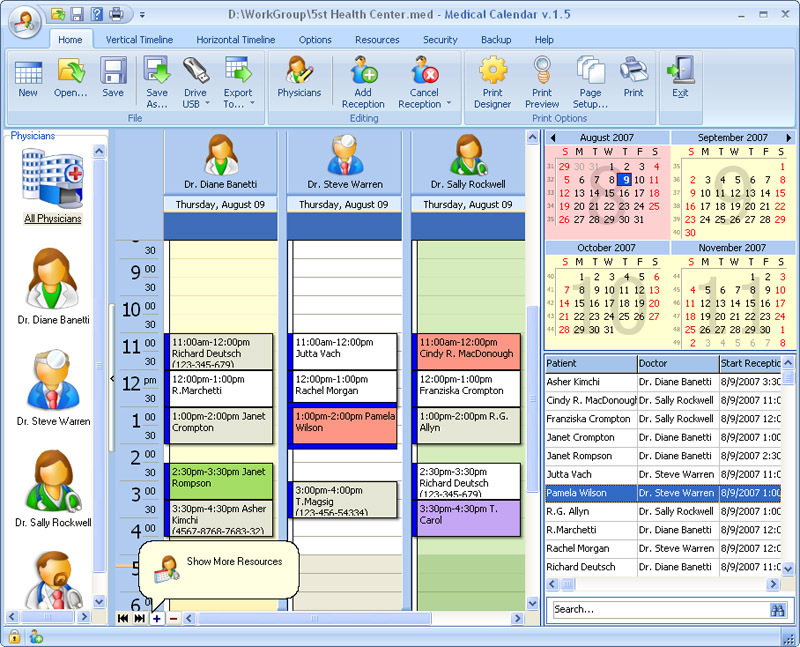 Additionally Medical Calendar comes with the feature-rich Print Designer for printing your schedule in a convenient way. Qweas is providing links to Medical Calendar 5.1 as a courtesy, and makes no representations regarding Medical Calendar or any other applications or any information related thereto. Any questions, complaints or claims regarding this application Medical Calendar 5.1 must be directed to the appropriate software vendor. You may click the publisher link of Medical Calendar on the top of this page to get more details about the vendor.